Premier dispensing syringe barrels are silicone and chloride- free and designed to work with dispensing equipment - either manually or on a pneumatic dispenser. The syringe barrels are made from low friction polypropylene to ensure accuracy, repeatability and productivity. Features a double Helix Luer lock for secure dispense tip attachment. Supplied in sealed packs. Pistons available for all barrel sizes as well as end caps and adapter assemblies. Features a double Helix Luer lock for secure dispense tip attachment. Natural (clear) for most generic applications. Maximum operating pressure is 100 psi (6.9bar). Syringe barrels are designed for use with pneumatic dispensing equipment or syringe guns. They are thick walled with wide flanges and so designed for high pressures. The internal bore is zero draft meaning there is no taper. This ensures the wiper piston inside moves down without restriction to improve dispense performance. Use these barrels with pastes, adhesives, solvents, epoxies, RTVs, silicones, PVAs, inks and gels. This range have luer lock ends for twist on tip attachment. Barrels are shipped with every new dispenser and syringe gun that we supply. Barrels are moulded in high density plastics and have much thicker walls than a medical grade syringe. The internal bore has no taper and this ensures the wiper piston moves consistently down without restriction. The wide flanges at the top are for quick attachment to the air adapter assembly (to a dispenser) or to a manual syringe gun. This design ensures syringe barrels do not come loose or break under air pressures up to 100 psi. The luer lock tip attachment offers secure dispensing under high pressure. This product will ship by tracked courier. 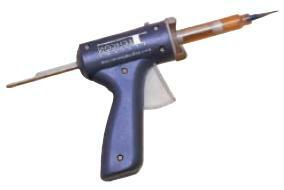 We recommend the use of our 10ml size manual Syringe Gun to make controlled deposits and beads. 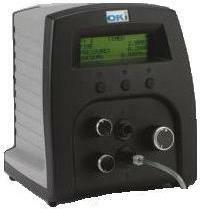 For more accuracy, we recommend using the TS250 digital timed syringe dispenser that is supplied ready for use with this product. The TS250 is a pneumatic bench top dispenser with timer control to make repeat deposits of this material or continuous beads. It features a shot counter to show number of deposits made and an LCD timer display. Supplied with a foot pedal, power cord, airline kit, tip kit and user guide. Pistons have blades to wipe the adhesive, paste or liquid from inside the syringe barrel as they move down. The blades also act to stop liquids from going past them as they dispense. Once a syringe has liquid inside, insert the piston and push down on one side. This will allow air to escape and ensures the piston sits directly on the fluid without an air gap. When bottom filling using a barrel filler, the piston is pushed down and moves up as the liquid is fed into the syringe barrel. Pistons can provide a barrier seal for liquids placed inside. But for more protection when dispensing watery liquids and cyanoacrylate adhesives, use our filter trap in the airline adapter assembly to your syringe dispenser.